Agent Nygrens BLOGG! 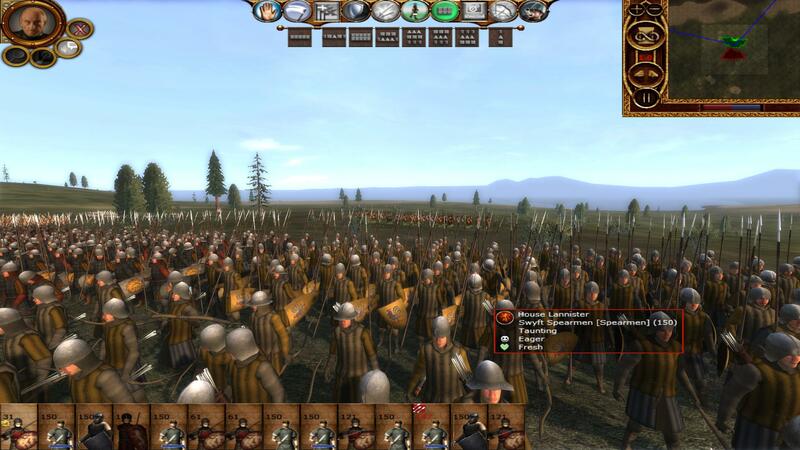 : Game of Thrones: Total War: Version 4.9! - worked on heavily by me and VltimaRatio since 4.0, and uploaded august 17 at MODDB! 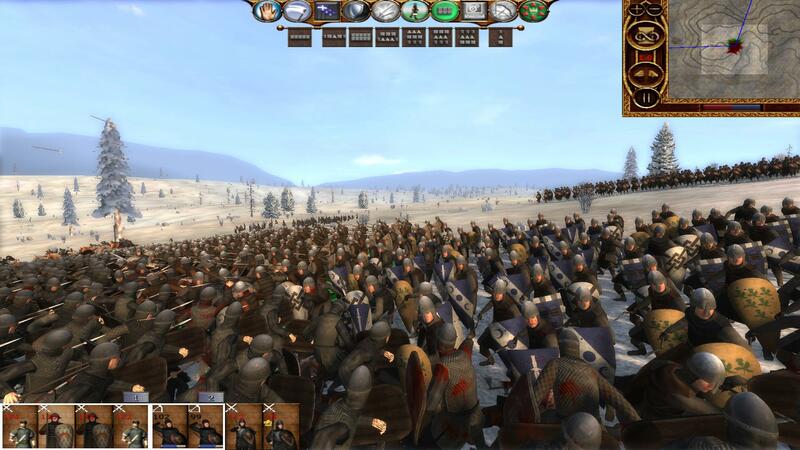 Game of Thrones: Total War: Version 4.9! - worked on heavily by me and VltimaRatio since 4.0, and uploaded august 17 at MODDB! Got:TW 4.9 - this is the almost complete version of GoT:TW, now with most of the minor house rosters added, all basic rosters but Dorne fully implemented, new elites for Boltons & Tullies, new mid-tiers for Tyrells & extras for Freys, unit portraits fixed for most units, removed unused factions from custom battles, new caps/gens for WIP factions, Warhammer animations and more - the only thing missing would be three more minor house rosters, portraits and balance/recruitment, plus a bigger map. 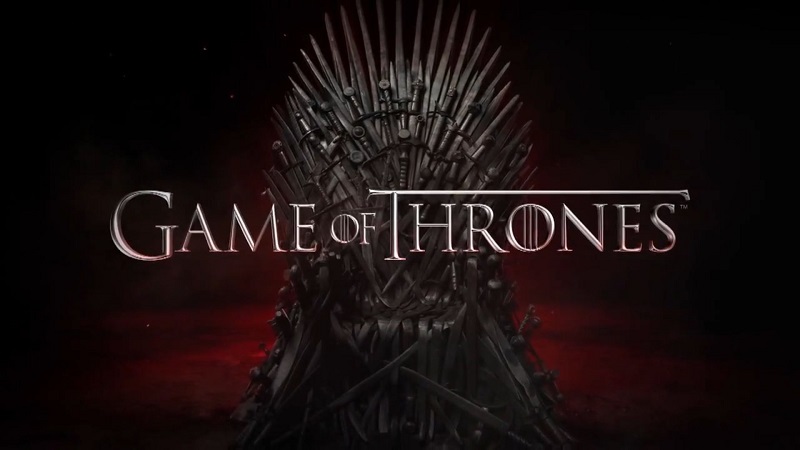 EDIT as of 28/08-2017 - New MAC-compatible GoT:TW Enhanced version 4.9 uploaded! - made Mac-compatible by TomSrx! - An installer has been made for both the CD and Steam versions of the mod! - More info down below. 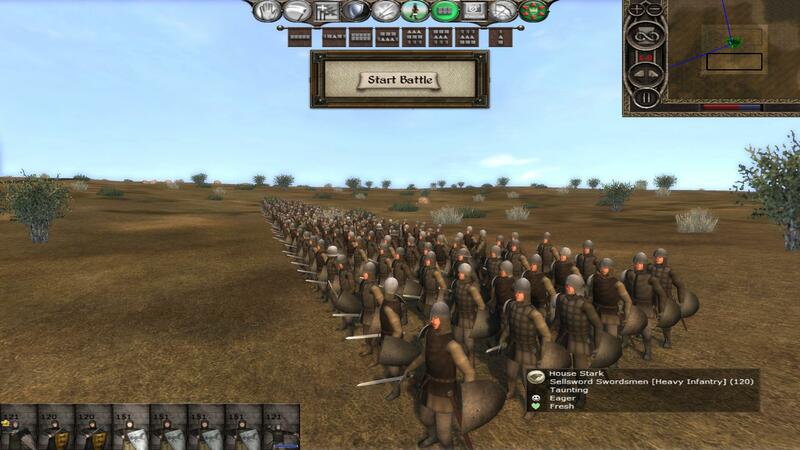 Game of Thrones Submod for Westeros Total War, v. 4.9 (For windows). 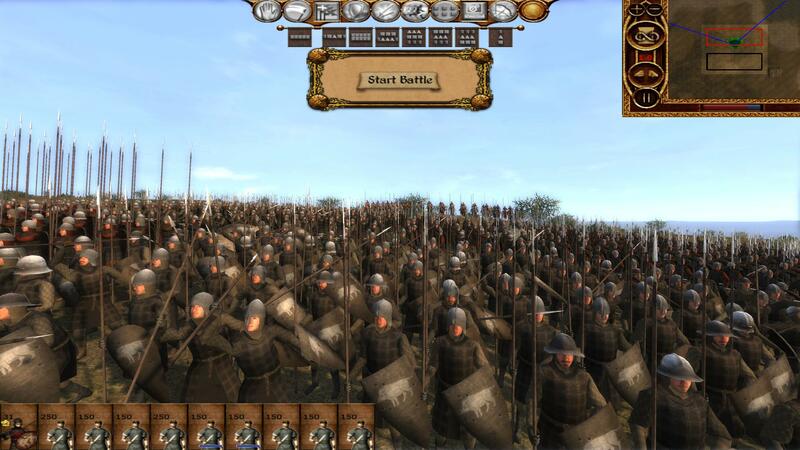 Game of Thrones Submod for Westeros Total War, v. 4.9 (For MAC). 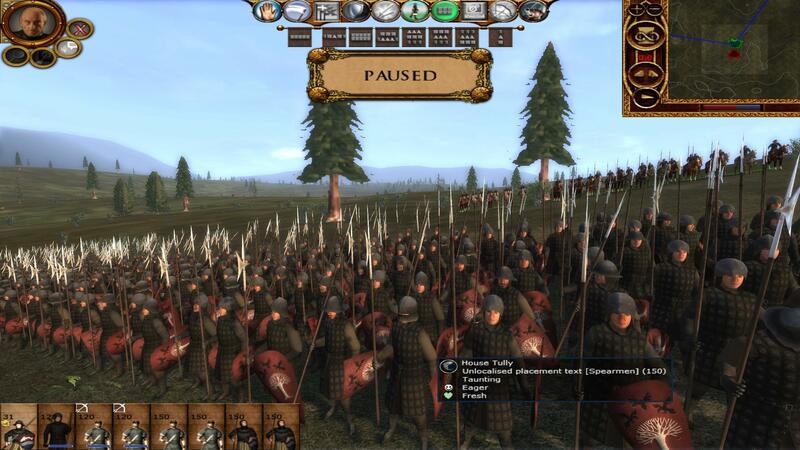 Install by extracting the mod like this "Medieval II Total War\mods\GoT_Enhanced" - and start by doubleclicking the .bat-file. 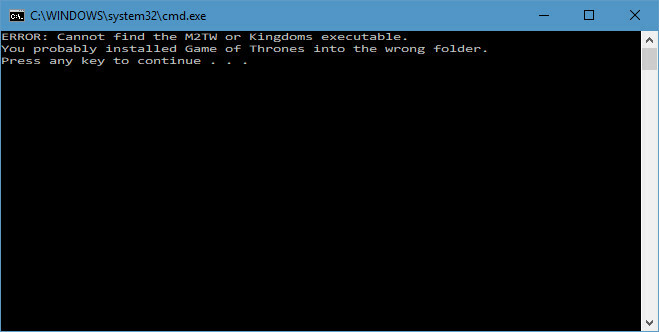 Also, remove the RVM-file inside of Got_Enhanced/data/world/maps/base before starting the mod - and play a custom battle before trying to enter the campaign the first time you play as otherwise it will crash when trying to enter the campaign. 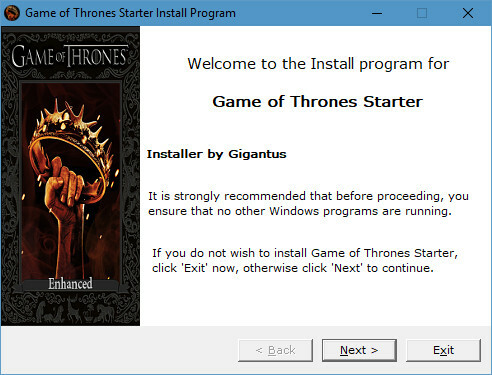 For Steam-users do the usual installation. Unzip the downloaded RAR file (WinRar is the best option and is also freeWare, 7-zip could work). 1. Adds all the finished remade basic troops of old factions - minus Dorne because Vltima forgot to send me the new Dornish units. I only ever got the Martells, which are new mid-tiers for House Martell - i never got the basic units previewed in pictures. - All are fully implemented now! Tully = Bracken, Mallister, Blackwood plus an almost finished Mooton basic roster. Lannister/Joffrey = Marbrand, Crakehall and Lefford - these aren't entirely complete like the ones for House Tully though. - Swyft were rebranded into Lefford and got a new symbol on their shield texture. 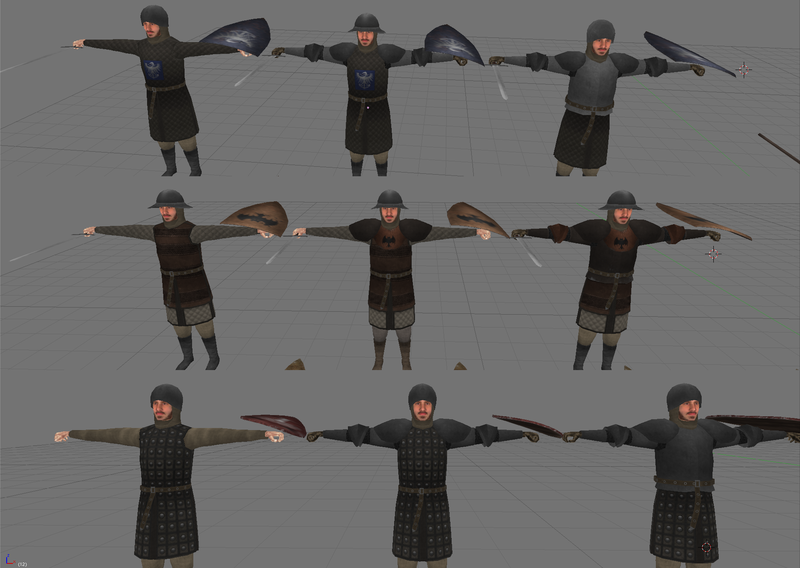 It also does add a few individual units such as Mountain Axe Clansmen for House Stark, new sellsword swordsmen, or Cuy Infantry for House Tyrell - basically everything previewed in MODDB is included. 3. 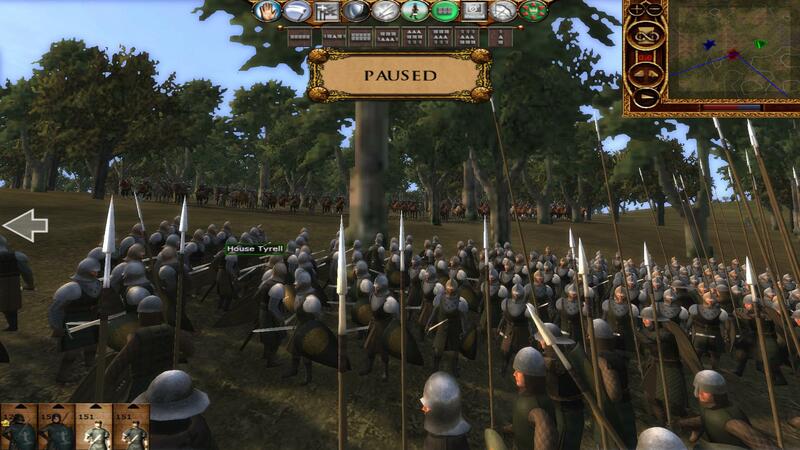 New Frey units, new textures for the Frey units, new remade mid-tier House Tyrell troops, new elite House Bolton troops plus new armour upgrades for these factions. 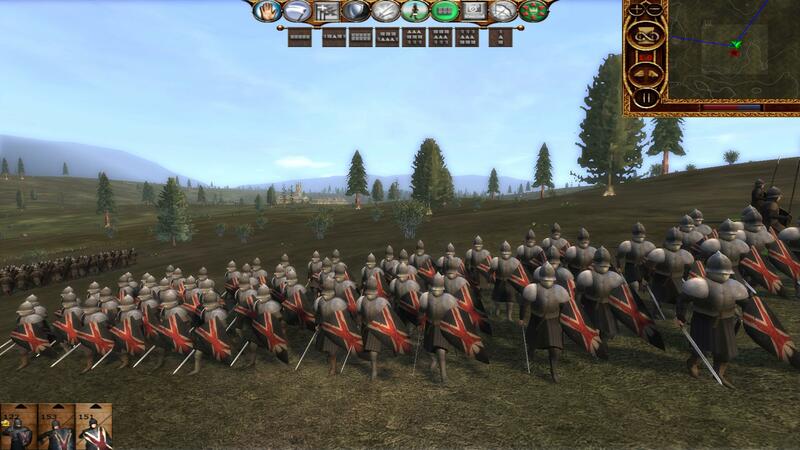 - Also includes a slightly remade and improved group of Tully elite units. 4. Adds the full basic House Penrose (another minor house) units for House Renly. 5. Added House Frey as it's own faction to the campaign, and with full recruitment. 6. Adds the House Frey Faction Description, Walder Frey faction Leader portrait etc. 7. Removes unfinished factions from custom battles, and i mean vanilla ones who sometimes spawned in quickbattles with mercs. 8. Fixes the portraits that were missing in the mercs-directory, which caused "unlocalized placement"-pictures to show for Riverland units and others recruited by some fations. 9. Re-made the regional system a little to have less armies with everyone in them - making more units unique for the proper factions. 10. Adds a huge amount of Warhammer animations if one would want wolfs, dragons, beasts, undead or mammuths etc. 11. Adds a Warhammer online Dragon model for House Targaryen (three Dragons). 12. Adds a Daenarys Stormborn hero-model. 13. All custom units and unit upgrades have gotten new LOD-values in the BMDB - the issue with sprites showing in close distances has been solved. 14. 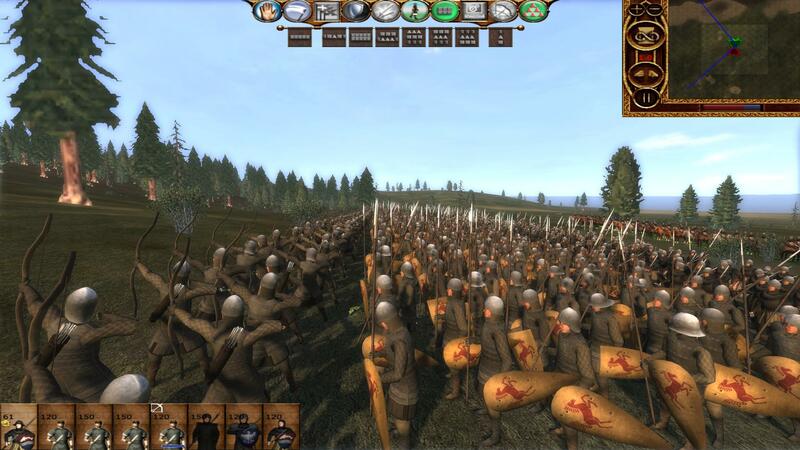 New era system in custom battles - Era 0 is the factions own units plus the regional basic units, Era 1 is those units mentioned above plus all the vasall houses/minor houses who has sworn the main House loyalty - For Starks this would be Umbers, Glovers, Mormont, Karstark, Manderly and Bolton etc - Era 2 is all mentioned previously plus the sellswords. Era 0 (Early) - Only household troops and regional troops. Era 1 (mid) - The above plus all the minor Houses (the Dothraki faction always has it's units in all eras, and House Targaryen have access to Dothraki from Era 1). Era 2 (Late) - The above plus mercs. 5.0 will mostly be missing portraits and additions to the unfinished WIP factions - but i will put that on hold and move on to ADOS instead. I am also expecting a guy to release balance/recruitment (remade EDU and EDB) soon after my release - and so i will update it with these files. 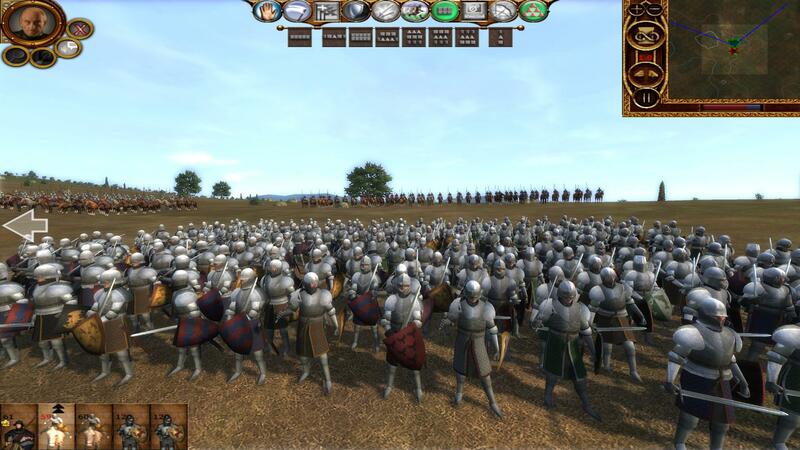 This will hopefully make RTS-battles more stable. A third guy was working on custom settlements in battle. We'll see if he was just talking or if he was serious. Would take two weeks and i think almost a week have passed by now. ~ Inarus - Images, basic graphics, music and Image Research. ~ Western Unit Overhaul Source Files (mod resource) by GeMiNi][SaNDy were used as a base for new units. ~ Siege engines are borrowed with permission from the De Bello Mundi-mod, creator Rhaymo. ~ Marka Medium and Heavy Horses- by the Ruschi-team. 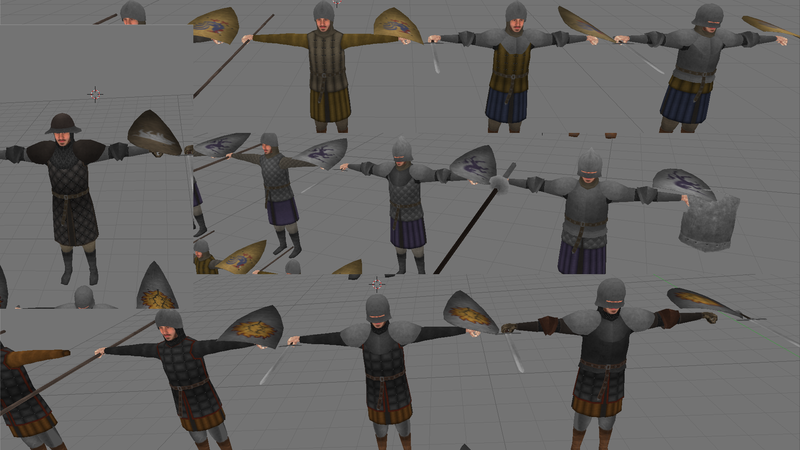 VltimaRatio (unit modeller, all improvements on the models already in the game). Mr_Nygren (modder, everything else new basically. Plus the implementation of everything. 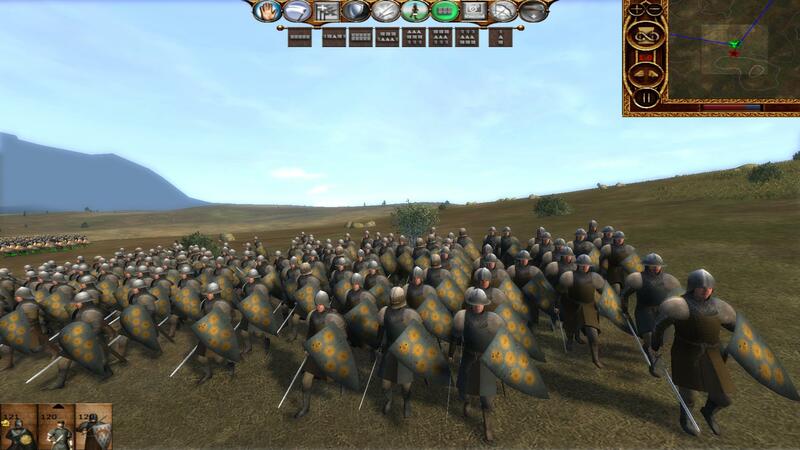 VltimaRatio (unit modeller, all improvements on the models already in the game. Creation of every model, and it's an impressive and amazing number just in this 4.7 version - if we count the ones who aren't included, then he has done a tremendous effort this summer - basic units re-done for all, new elites, new minor houses, symbols, portraits for new units, textures, weapons, models). Mr_Nygren (modder, everything else new basically. I have worked on the mod both in dec/jan (changes seen in 4.6) and may until now. 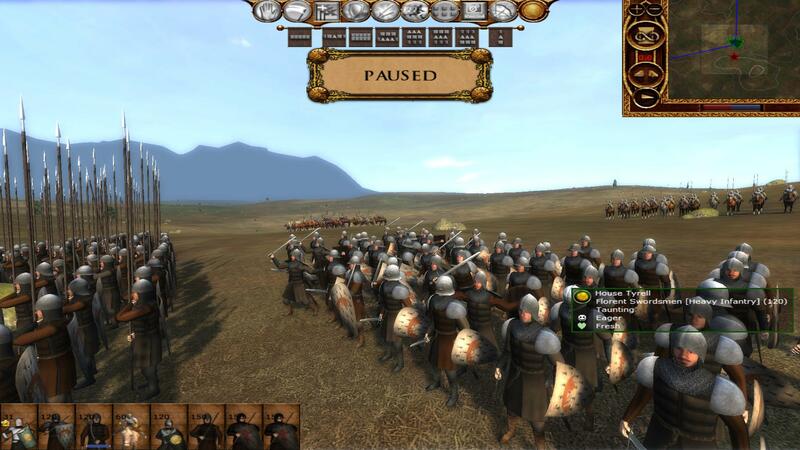 Implemented all the units to my version of the mod, created some Targaryen symbols in custom battles, made weapon variations out of the raw-files VltimaRatio provided me with in january - creating more Targaryen and Dragon-units than just the spearmen, implemented units to the descr_strat, to the descr_rebels_factions, hidden resources to descr_regions and the units to the edb - basically made the units available in the campaign, fixed the CTD-bug that always crashed the mod at a certain turn plus done additional smaller stuff). Jurcek1987 - Helped me with fixing a glitch making the Targaryen Spearmen hold their weapons wrongly - also added the Banner Carriers to the Bolton model - using the ones from the Western Overhaul as a base - the textures where then moved from the old carriers to the new ones that worked fine with the Bolton models. 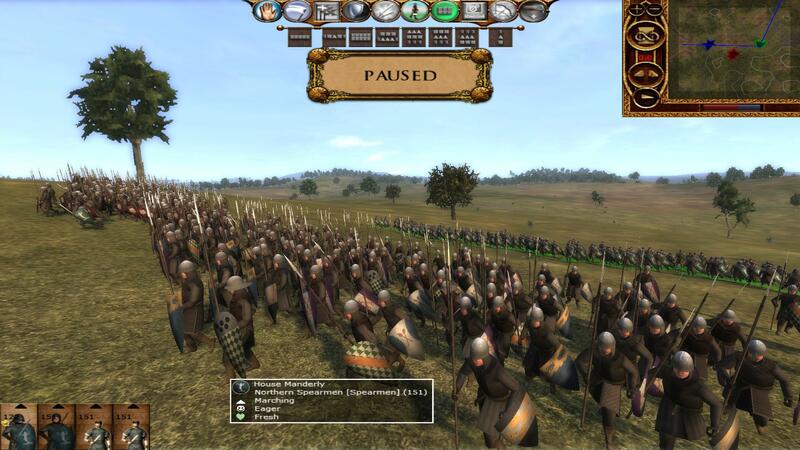 VltimaRatio (unit modeller, all improvements on the models already in the game. 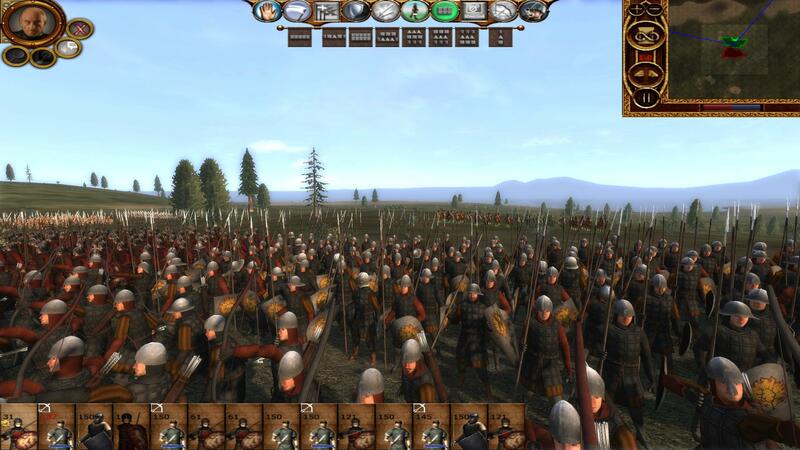 Creation of every model but two, - basic units re-done for all, new elites, new minor houses, symbols, portraits for new units, textures, weapons and models). Mr_Nygren (modder, everything else basically. 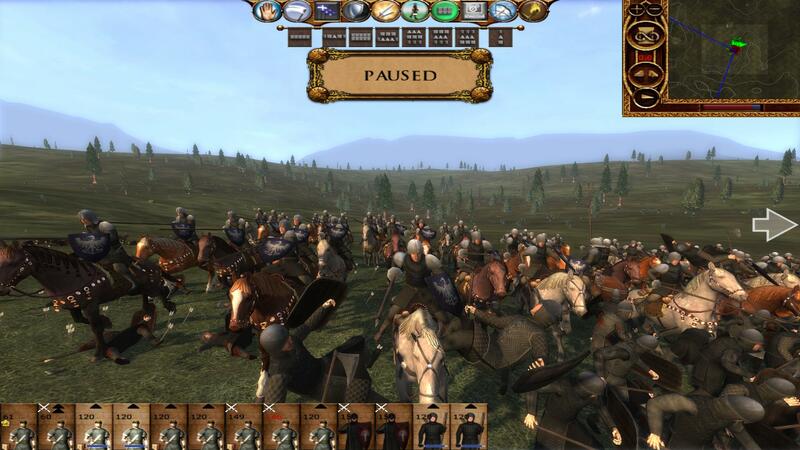 Implemented all the units to my version of the mod, beaten the CTD-crash that was plaguing this mod, fixed the LOD-levels, added all the Warhammer animations, fixed the missing portraits if they existed, removed unused factions from custom battles, added House Frey to the campaign etc - basically everything but the creation of the models.). The Return Of Reckoning team (runs Warhammer Onlines current build) - for the Warhammer dragons. "The Return Of Reckoning team runs the current Warhammer Online build, which was released for use. There should be no problems using assets taken from Warhammer Online." Auc162 - for letting me use the body of Daenarys - created by his friend.